Last January, at the 2014 Sundance Film Festival, I was at the second screening ever of Richard Linklater’s “Boyhood,” which has gone on to top critics’ best-of lists, and, perhaps more surprisingly, be a serious contender at this year’s Oscars. I missed the festival’s opening-night film, “Whiplash,” which has also gone onto a lot of Oscar attention. Also at that festival, I was one of about 100 people crammed into a room for a discussion on digital storytelling, which included the world premiere of a new show for the then-fledgling Amazon Prime Video. That show was “Transparent,” which went on to also top critics’ best-of lists and win Golden Globes last week for Best Comedy/Musical Show and Actor. The idea that the Sundance Film Festival is a hothouse for precious indie films destined to wither away once they hit the cold cruel world of the marketplace doesn’t seem so valid anymore. Sure, there were many, many films there last year that never got a theatrical run. But the collapse of the traditional arthouse theatrical circuit has, in some ways, freed the movies up to reach viewers in different ways, through video-on-demand and streaming services. These films might not all be coming to a theater near year, but they’ll likely be coming to a screen near you one way or another. As a member of the working press, getting in to see a movie is a matter of luck, patience, timing and the occasional favor. The first weekend in particular is crammed with both people and industry folk from New York and Los Angeles, which means a lot of waiting in lines for press screenings, hoping you’ll get inside the theater before the nice volunteer lady gives that sad smile and head-shake to the poor saps behind you. So here are a few films I’d like to see when I’m in Park City. I’ll start posting reviews and other things here Thursday or Friday, as well as some stuff for the Cap Times (captimes.com), and you can follow me at @robt77. It’s going to be fun. And if I don’t make all of these, I won’t mind. Because even if you miss that big buzzed-about screening, there’s always a chance you’ll be packed inside some tiny little theater somewhere, and almost inadvertently see something wonderful. “Mistress America” — Writer-director Noah Baumbach reteams with Greta Gerwig in this tale of a college freshman who gets waylaid by the free-spirited woman (Gerwig) who is marrying her brother. “Frances Ha” was one of my favorites of 2013 and heralded a warmer but still sharp Baumbach. “Going Clear” — Ahead of its HBO premiere, Oscar-winning documentary filmmaker Alex Gibney peeks inside the secretive world of the Church of Scientology. Understandably, the church isn’t pleased. “The Russian Woodpecker” — UW graduate Brad Gracia made this unusual documentary about a whistleblower who claims that the Chernobyl was engineered by the Russian government to cover up a worst atrocity. “Tig” — Tig Notaro is coming to the Capitol Theatre in Madison on Feb. 28, so I can prepare with this revealing documentary about the comedian facing breast cancer, the loss of her mother and a blossoming career and relationship. 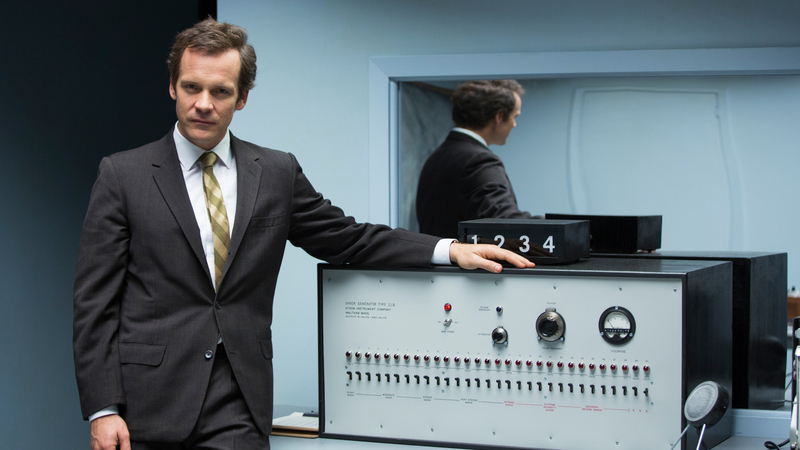 “Experimenter” — Remember learning in Psychology 101 about those experiments where people would willingly administer electric shocks to total strangers. This movie dramatizes the life of the researcher, played by Peter Sarsgaard. “The Mask You Live In” — Jennifer Newsom, who looked at the suffocating roles that women and girls are forced into by American culture in “Miss Representation,” now looks at the damage that a hyper-masculine society has on men and boys in this documentary. “A Walk in the Woods” — Not exactly edgy fare, but I do want to see this gruff but charming adaptation of the Bill Bryson book, about two estranged friends (played by Nick Nolte and Sundance honcho Robert Redford) who hike the Appalachian Trail together. “The Nightmare” — “Room 237” filmmaker Rodney Ascher looks at a different kind of horror, exploring the minds of people who suffer from “sleep paralysis” — waking nightmares where the victims are unable to move. “The Forbidden Room” — A Guy Maddin film is like nothing else you’ll ever see, mixing classic silent film elements and personal psychodrama like a late-night TCM binge on hallucinogens. So a new one can’t be ignored. “Results” — I’m just fascinated by the idea that writer-director Andrew Bujalski has gone from making the low-tech “Computer Chess” to this glossy-looking film starring Guy Pearce and Cobie Smulders as fitness trainers who start working for an affluent client.